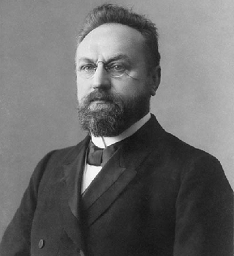 Herman Bavinck developed one of the most comprehensive and sophisticated theologies of revelation of the early 20th Century. I was remarking to a friend the other day that one simply has to trade out a few of the names, update a few references here and there, and Bavinck could have cranked it out last year. What’s more, it’s stunning in its comprehensiveness and continued relevance. The first volume of the Reformed Dogmatics alone clocks in at just over 600 pages and he continues to work out some of the implications and corollaries in the first pages of volume two on God and creation. All our knowledge of God is from and through God, grounded in his revelation, that is, in objective reason. In order to convey the knowledge of him to his creatures, God has to come down to the level of his creatures and accommodate himself to their powers of comprehension. The possibility of this condescension cannot be denied since it is given with creation, this is, with the existence of finite being. Our knowledge of God is always only analogical in character, that is, shaped by analogy to what can be discerned of God in his creatures, having as its object not God in himself in his knowable essence, but God in his revelation, his relation to us, in the things that pertain to his natural, in his habitual disposition to his creatures. Accordingly, this knowledge is only a finite image, a faint likeness and creaturely impression of the perfect knowledge that God has of himself. Finally, our knowledge of God is nevertheless true, pure, and trustworthy because it has for its foundation God’s self-consciousness, its archetype, and his self-revelation in the cosmos. If you know anything about God, it’s because God himself has revealed it. We can’t reason our way up to God, or imagine what God is like on our own power, or natural, human abilities. For us to know what God is like, he has to take the initiative to tell us. For him to do this inevitably involves adjusting himself to our limitations, so to speak, by using human language, concepts, and created reality to point beyond itself to the uncreated. Calvin described this as a nurse talking in baby-talk to the child she’s caring for, stooping to the child’s level to be understood. Now, this initially seems problematic. Isn’t it possibly idolatrous to compare God to creation? Bavinck says not inherently so, because God himself created everything for the purpose of revealing his glory. In other words, creation is already suited to the task by God’s own humble and glorious design, as evidenced by the fact that we, as the crown of creation, are made to be Image-bearers. That said, all of our knowledge of God is analogical–for every human or created thing we say God is like, we also have to see he is also unlike and beyond. These created pictures don’t reveal all there is to know about God, or exhaustively capture the reality of what the analogy is pointing to. As I’ve put it elsewhere, when you’re saying something about God or reading it in the Bible–whether about his being or emotions or something else–you have to insert a little qualifier because you’re comparing the transcendent, uncreated one to something created. Kind of like, “God is good (but not exactly the way you think of good)”, or “God is strong (and that is an understatement so serious you don’t have a category for it)”, or “God is angry (but you can’t think of it like sinful human anger)”, or “God repented (but not in the way that implies he didn’t know what he was doing)”. It’s like, but also unlike. Of course, that doesn’t mean our knowledge of God isn’t any good. Simply because we don’t know God as fully as he knows himself, that doesn’t mean we don’t know him at all, or even falsely. No, our analogous knowledge is perfectly adequate knowledge, true and trustworthy, though suited to our cognitive capabilities. So there you have it–Bavinck in a nutshell. Hopefully, that whets your appetite for the full dosage. I mean, if he can get all that done in brief paragraph, imagine what he can do with four volumes?